It has been an exciting week here at Chrome Unboxed. As I’m sure you’ve heard, Samsung’s new Chromebook Pro is the buzz around the tech world at the moment. Giddy as we were to finally get a glimpse of this Chromebook, it’s only the tip of the iceberg. The world of Chrome OS is approaching a new horizon and we want to do our best to keep you up-to-date on anything and everything that is Chrome. The release of Chrome OS 54 is right around the corner. 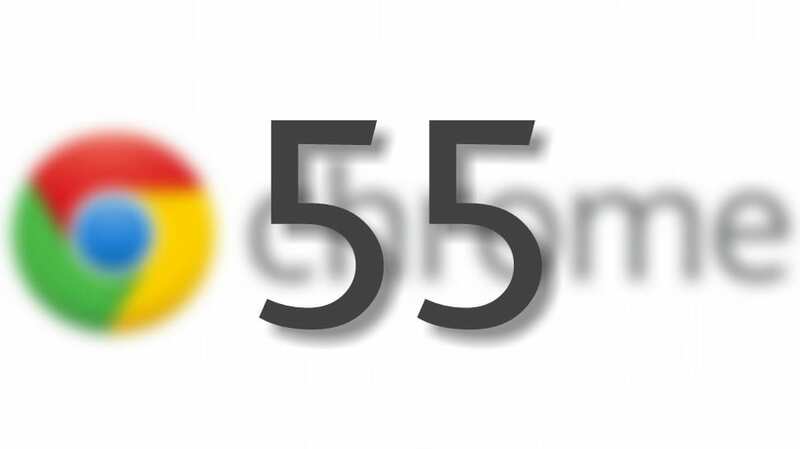 While little has been mentioned of what this update will bring to Google’s operating system, it is laying the foundation for a number of new features to be released in version 55 in early December. A recent update to the developer channel of Chrome OS brought with it a change log that reads like the unabridged version of War and Peace. After spending a few hours reading through all the new and updated features, I wanted to give you a brief overview of everything we know that’s coming to Chrome OS in the near future. The use-case for this technology still a little up in the air, but the possibility of applications covers a very wide spectrum. For consumers, this technology will most likely be geared more towards mobile devices; giving users access to nearby devices that will interact with Chrome browsers to deliver advertising and content from surrounding businesses. From the Chrome-OS-end of things, this will allow for retailers and other entities to transmit said advertising or content from Chrome OS kiosks and other devices. This technology will surely find itself at home in densely populated areas where retail locations are many and in close proximity. Content delivery could very well be used in a manner that allows the user to interact with their surroundings i.e. museums, tourist attractions, popular local thoroughfares and more. Virtual Reality has been a hot subject as of late. With the release of PlayStaion VR this past week, the emerging consumer market is still very much in its infancy stage. Many strides have been made to create a VR technology that is realistic, yet cost effective. The Chromium project has been working to bring web-based VR to the Chrome browser. The result to be an enveloping experience brought to you directly from your web browser. The upcoming version of Chrome OS 55 carries with it a multitude of support and testing for this emerging technology. We reported earlier this month about a very welcome upgrade to the Chrome browser that will significantly reduce RAM usage particularly for PC and Android users. The chromium team have stated that this will result in as much as a 50% decrease RAM usage. By default this should result in better system performance as well as improved battery life. Chrome OS continues to make better and better use of system resources and the enhancements to Chrome browser should inherently transfer over to the Chrome OS ecosystem. There is also mention of restricting background pages to 1% CPU usage. That is a good thing that will only help to free up system resources and speeding up the browsing experience. Yes. Android Apps are still coming to Chrome OS. It seems like and eternity since the announcement at Google I/O. But, rest assured, the Play Store is still coming. Recent commits have shown us that the long awaited addition is most definitely moving out of the testing phases. We expect the Play Store to begin rolling out with version 54 or no later than 55. A number of other Features are currently being tested in the developer channel of Chrome OS. One we are particularly stoked about is native image resizing in the Chrome OS image viewer. Voice input, handwriting input and quick emojis are also on the list of new additions to Chrome OS. With the overwhelming number of new convertible, touchscreen devices forthcoming, these enhancements will surely have a huge impact on the Chrome OS environment. So, there you have it. So many good things coming to Chrome OS in the very near future. Some of these technologies may take a few update cycles to become fully utilized, but they’re happening. We will continue to update you on everything shiny and new in the world of Chrome.